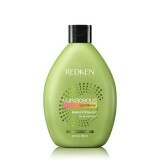 All curls are not created equal so give them the customized care they crave! Curvaceous is a complete collection of curly and wavy hair styling products specially formulated to bring out the best in every curl. 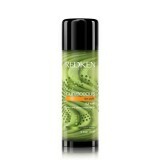 Redken’s exclusive Curl Memory Complex and the Interlock Protein Network (IPN) strengthen, moisturize and reactivate shape for increased manageability, frizz control and amazing shine. Curls and waves never looked so good! 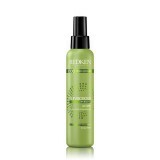 Formulated with Redken's Curl Memory Complex featuring sugar crystals, moringa oil and UV filter,..
Moisturizing and curl-defining primer for all curl types. 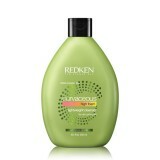 With Redken's exclusive Curl Memory Com.. This anti-frizz lotion reigns in curls with control, soft hold and a shiny, touchable finish.&nbs..
A climate controlling spray gel formulated with our exclusive Curl Memory Complex, moringa oil an..
2 in 1 cream/serum formula fights frizz, seals in moisture and locks out humidity. Control for al..